Part of my 2016 goal of living with intention includes editing. If something isn't adding to my life, I need to get it out of my life. I am a stay at home parent and my days fly by, filled with tasks around the home, running kids to and from school, managing our finances, volunteering at school, preparing meals… the list goes on and on. I can ALWAYS find something to do. But is it all moving me forward? Does it all serve a purpose? Is it adding to my life, or just adding to the noise? 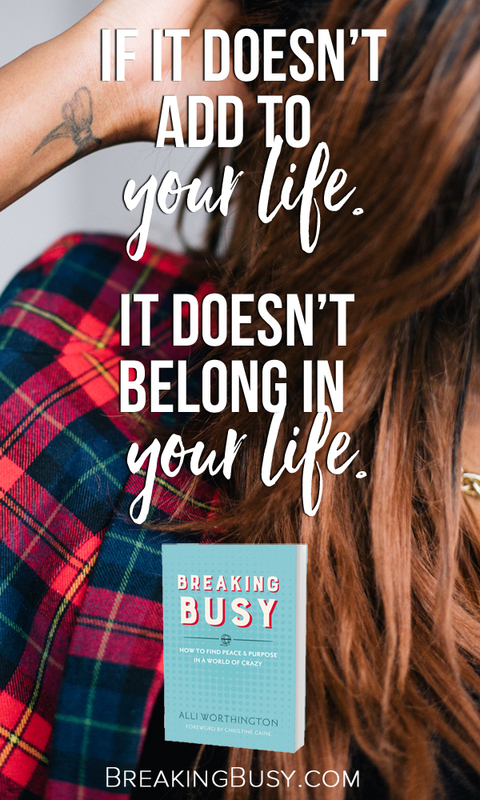 I am thankful to have been chosen for Alli Worthington's launch team for her book, Breaking Busy: How to Find Peace and Purpose in a World of Crazy . Ladies, you need to read this book ASAP. It's a fast, easy read that is enjoyable and humorous. Alli shares several humorous examples in her days of go, go, go. You know those days-- you'd lose your head if it wasn't attached! Those days aren't good for you or anyone around you. In a call with the launch group, Alli said, "Busyness is big problem in the modern world. It robs us of a clear vision of who we’re created to be and the life we’re created to have." YES! YES! YES! How many days have you had where you can't even remember exactly what you did, but you know you were exhausted, frustrated, short-tempered, and sharp-tongued? I've had too many of those days, mostly of my own doing, and I don't want my kids to remember their mom like that. My husband doesn't deserve a wife like that after his own long, and often frustrating, days at work. I don't want to be that person. It's time to take back our days so we can enjoy the lives we want. 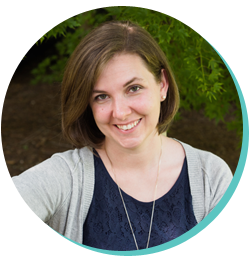 Now, Alli is offering a FREE 5-day Breaking Busy mini-course. You can check out the details and sign up here. I can't wait! So thrilled you loved the book. Thank you so much for sharing the message!